Netflix losing it’s luster? Here’s some reported titles expiring soon. 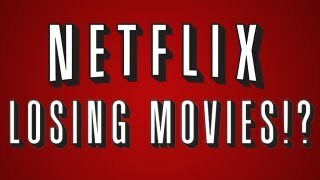 If you’re like me and the thought of Netflix actually losing movies sends you into a bit of a tizzy. Even if you haven’t seen or don’t like the particular titles. Just the thought of Netflix actually removing titles makes the world make a little less sense. What if I actually wanted to watch “Seed of Chucky” or “Troll II” someday? Huh what about that Netflix? No, no,no (in my Kevin Hart voice) I don’t care if the title has been available for streaming since the inception of Netflix streaming! I was gonna get around to it. Now what am I supposed to do? Go on with life as usual that’s what. With the wide variety of content streaming providers we should want for nothing in the movie and TV show arena. If only we all had a viable way to legally keep up with “Game of Thrones” without being a cable subscriber. This entry was posted on December 28, 2013 by leon in Apps, Business, Entertainment, Hot News, movies, Software and tagged expiring, movies, netflix, TV.